You have just completed a major life lesson which allows you to radiate your True Self into the world from the core. You are so devoted to serving God that if you had to choose between being with a lover and service, you would choose service 10 times out of 10. You have stopped looking and trust completely in Divine Timing. You realise that you and your Twin Flame are not special or unique but that every single soul on the planet has the same potential. You know that all souls are part of the One Soul and belong to each other. In other words, your reality has shifted into 5D. You are happy and at peace. 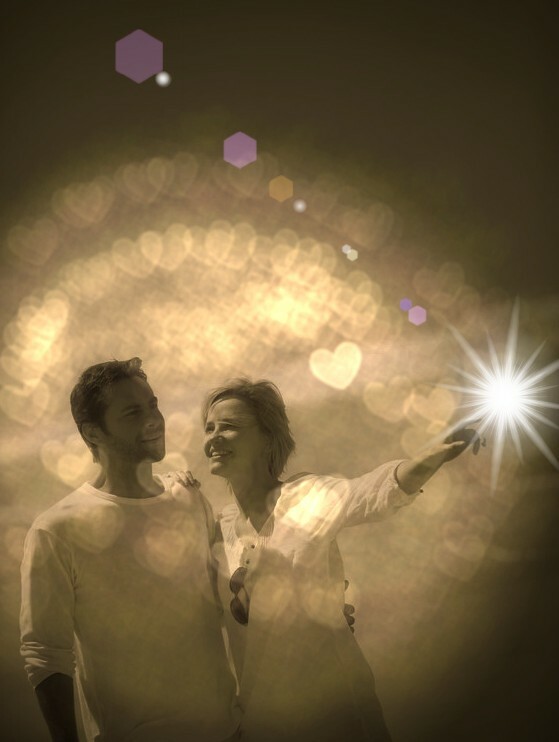 You are starting to sense the presence of your Twin Flame, like a glowing ember of joy deep within your heart. You both just knew from when you first met. You have a single, shared life purpose. You remember shared past lives. You quickly and effortlessly clear all past life karma. You experience Divine Union when you make love to each other. You are able to experience Divine Union on the astral plane and by connecting mentally/psychically. People around you acknowledge that you are a team and are drawn to you. Whether near or far, you constantly feel each other’s presence. You don’t talk about being Twin Flames with other people but let your actions do the talking. You are at peace with your purpose and each other.